Last Wednesday about ten in the morning, my wife called to me from outside our house. She said the turkey vultures were flying very low and I should get my camera. We live near the top of Greeley Hill where the up-slope winds allow big birds to soar for hours. I already had my boots on and headed outside to see for myself. She was right. The buzzards were gliding just above the treetops. I looked toward our driveway and saw a couple birds landing in a big sugar pine. By my count, there were about ten or twelve vultures altogether, so I grabbed my camera. 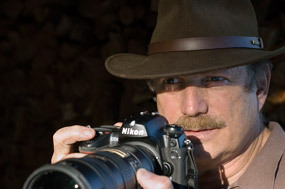 My Nikon D3 and 200-400mm zoom were just what I needed. This immature turkey vulture is coming in for a landing on a big bare limb of a sugar pine. You can tell it is immature because of its black head. Mature birds have a red head. Gliding low over our property frightened the chickens and guineas. 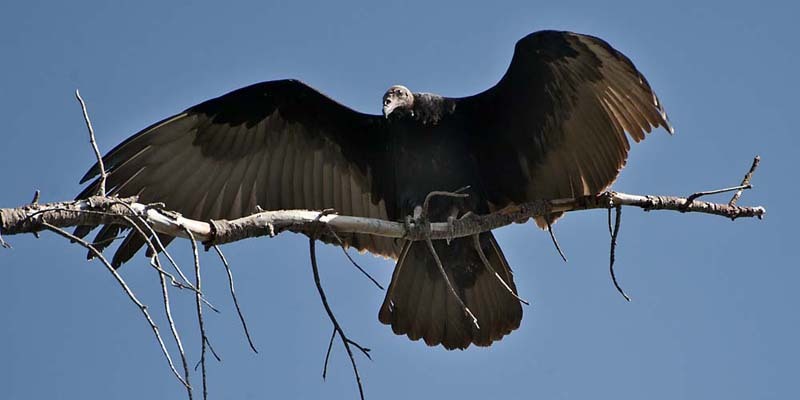 I think vultures are the best flyers. 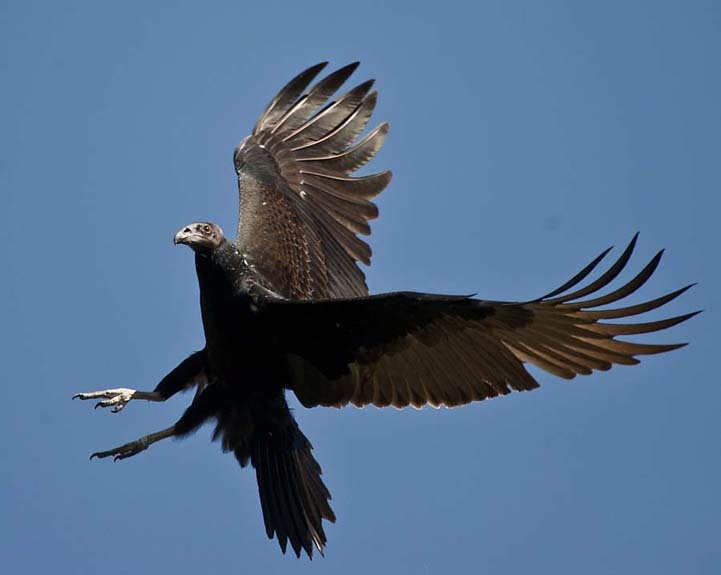 The adult birds’ wingspans average about six feet. 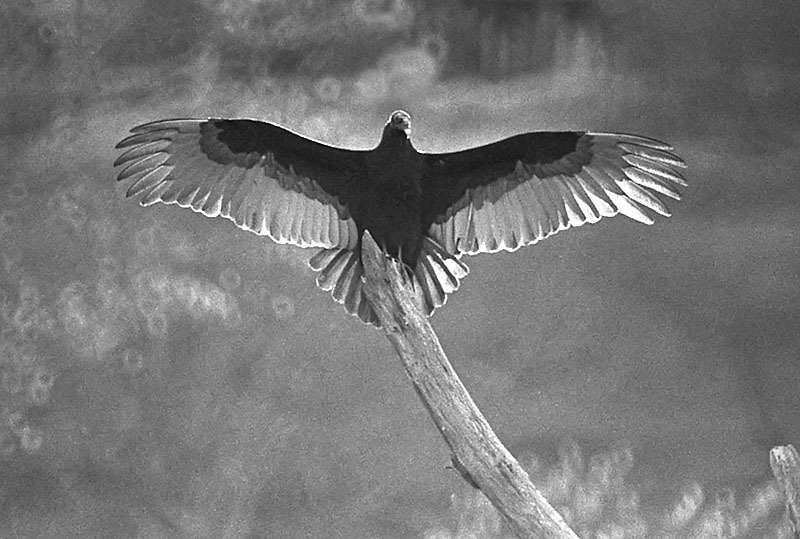 In October 1975, I photographed this vulture near LaGrange drying its wings in the morning sun. This image was part of a feature I did for Associated Press Features, published in January 1976. I learned while photographing this group of about 30 birds not to approach them in a threatening manner because they vomit. Whether this reaction is due to stress or to lighten their load for a quick takeoff, it is gross when you’re at the receiving end. Remember, they eat mostly carrion, so the smell is bad to say the least. 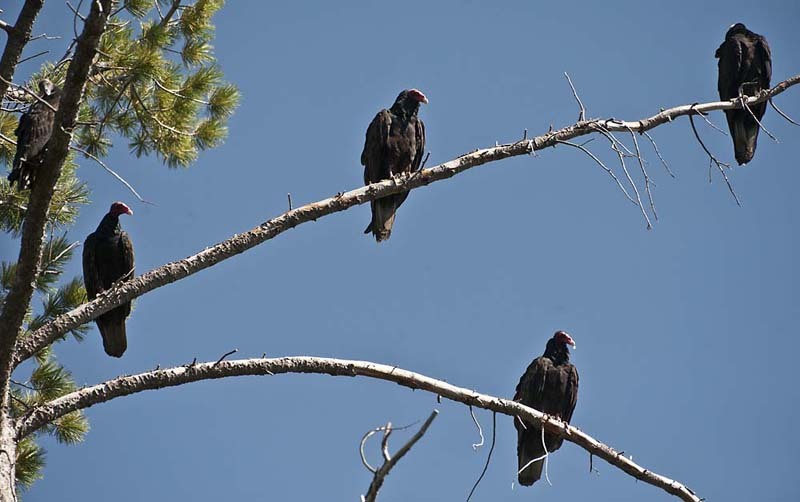 Here, five of the buzzards roost on one of our sugar pines. 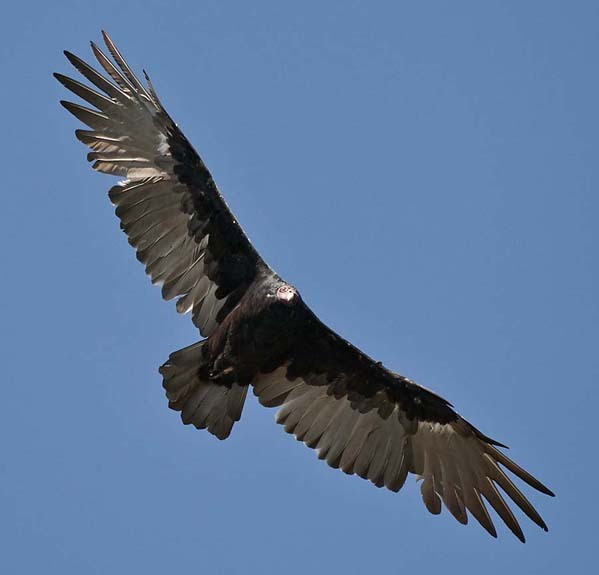 This vulture has just landed and his wings are still expanded. 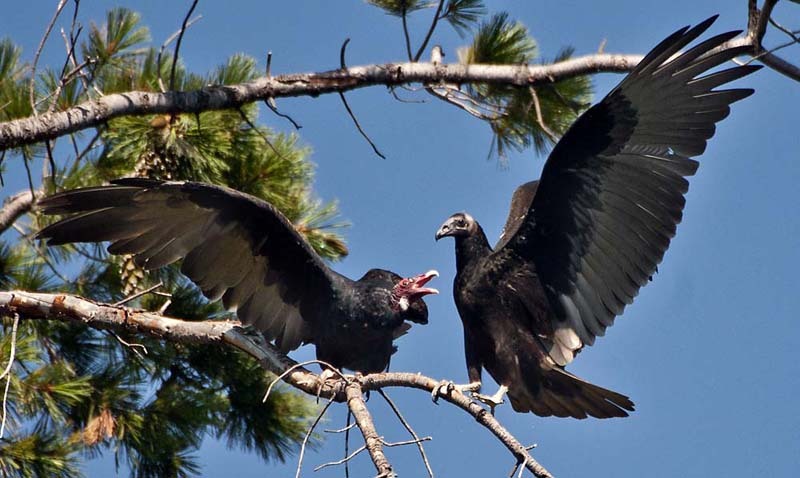 A mature bird and a youngster have a minor territorial squabble.